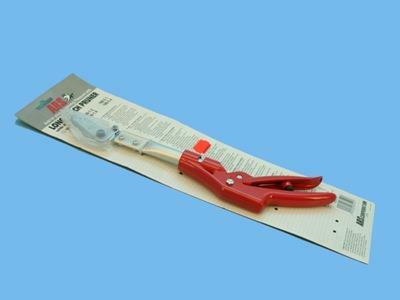 Long reach pruner with lightweight aluminium blade. The blade is made of hardened chrome steel, making it extra strong and resistant to corrosion. The handle is 180 degrees rotatable and can therefore cut the branches at a difficult angle.